African whisky is not that common. Unlike Tasmania or Japan, which are very popular on the world whisky scene, there’s very little ever spoken about it. So I thought it would be a great idea to talk to the man who was responsible for running one of the finest distilleries on that continent. You may recall that I recently reviewed the Three Ships PX Finish, where I explained a bit of background on the century-old James Sedgwick Distillery in South Africa. I also found the whisky to be tremendous stuff. So today on Malt we have an interview with Andy Watts, who runs the James Sedgwick Distillery. He’s a fascinating man with an interesting past. So thanks to Andy for taking so much time to explain the ins and outs of the James Sedgwick Distillery and for giving an insight into the South African whisky scene in particular. Malt: You were a cricketer who played and lived in Derbyshire, who ended up running a distillery in South Africa. That’s quite the change of gear. How did you go about transitioning your career and how long did it take? 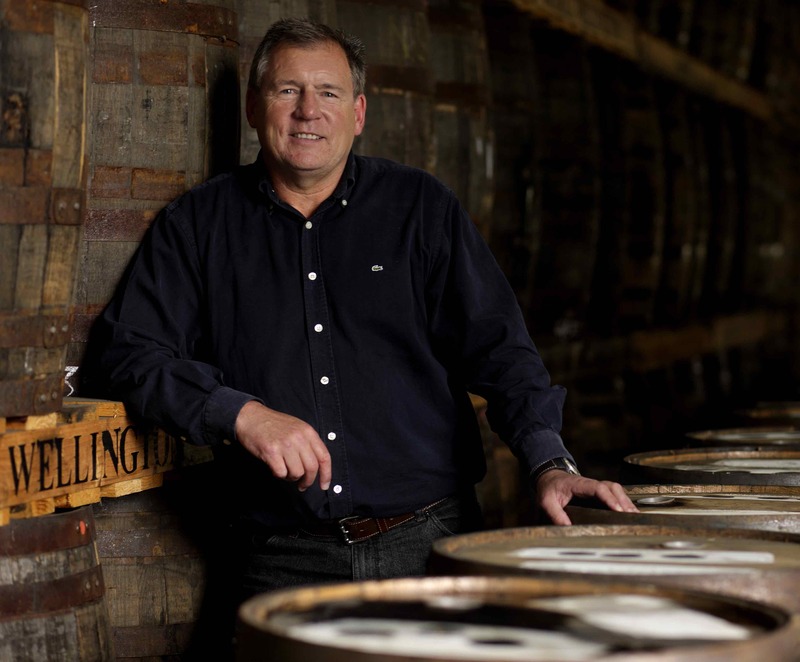 Andy: Had someone told me 30 years ago that I would be crafting whisky and not be involved in cricket or sport in some way or another I would have struggled to believe it! I took the decision in September 1982 to escape the cold English winter for a season (6 months) of coaching and playing cricket in a sunny climate and it was Wellington in the Western Cape of South Africa where I landed. The one season turned into three and it was during my third visit that I decided to make South Africa my new home. I had been released from my contract by Derbyshire County Cricket Club and the grass certainly looked greener on this side! I had been working part-time with the then Stellenbosch Farmers Winery (SFW), now Distell, in their spirits blending division and they offered me a full-time position whilst still giving me the time off to play provincial cricket in the Boland. It really was the best of both worlds back then for me. Things started to change in 1985 and it really was a case of me being in the right place at the right time on more than one occasion. Due to a restructuring at SFW, I was offered the spirits blending manager’s position in early 1985 and it was at a company social gathering where I met a delegation of directors and senior managers from Morrison Bowmore Distillers (MBD). I was invited to go and work with them and whilst in Scotland in the mid to late 1980’s with MBD I met and worked alongside some of Scotland’s legendary characters in the whisky industry. People like Brian Morrison, Alistair Ross, David Gressick and the still very active legend Jim McEwan. It was the passion which these distillers shared that made me realise that I certainly would like to be part of the whisky industry. On my return to South Africa from Scotland my mission was to try and show that although the Scots are known worldwide for their incredible whiskies it is not their sole prerogative to make it. Why South Africa? It’s not exactly famous in the whisky scene – and this was at a time where people completely shunned world whiskies. South Africa was during that time far better known for the production of world-class wines and brandies but it has always been a country which has enjoyed whisky. And for this reason SFW had been producing whisky on a commercial-scale in South Africa since 1977 with the help of the technical and bulk Scotch supply agreement with MBD. However the attitude back then was why drink something local when you could have world known brands for the same price? The exchange rate then was approximately £1:R1.20. Up until 1994 and South Africa’s return to the “Global Village” the choice of whisky was also limited to predominantly Scotch but as the acceptance of “New World” whisky has grown throughout the world it has also grown in South Africa. Over these years the profile of the consumer has also changed from one who did not embrace change to one who now “demands” it. South Africa specifically has a very unique and inquisitive demographic and that interest in the development of world whisky has grown through the emergence of whisky shows like Whisky Live which debuted here in South Africa in 2002 and is now up there as one of the largest attended shows in the world. The reputation of the whiskies coming from the James Sedgwick Distillery, when you first took it over, was not exactly glowing. What was the place like when you took it over, and what did you do to start turning things around for the distillery? On returning from Scotland in 1989 I assisted the Technical Services Department at SFW in moving the small whisky operations at the Robertson & Buxton (R & B) distillery in Stellenbosch across to The James Sedgwick Distillery Wellington. At that stage the JSD was predominantly a brandy distillery. I was appointed as manager in August 1991 (only the 6th in the almost 130 year distillery history) and was entrusted with the transition of both the quality and the scale on which we made South African whisky. 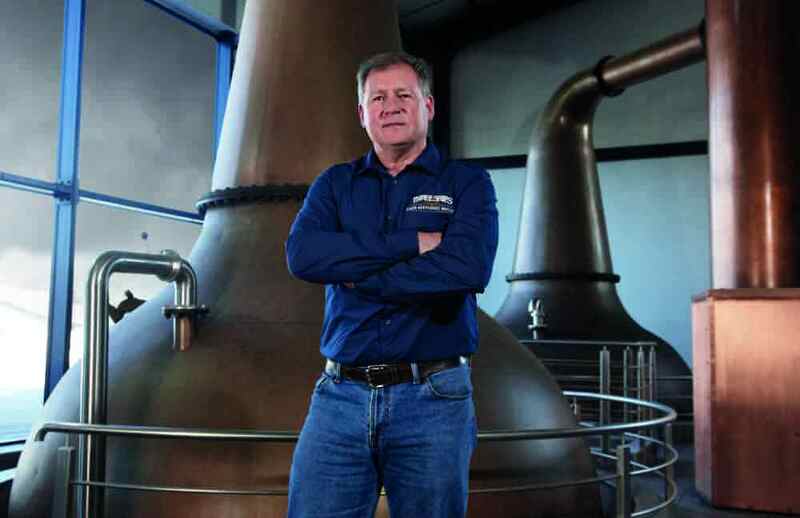 SFW and Distillers Corporation merged together in 2000 to form Distell and I was asked to continue in my position. Since my arrival the distillery has seen several major projects to both make it more aesthetically pleasing to the eye as well as more effective and efficient on a functional level. 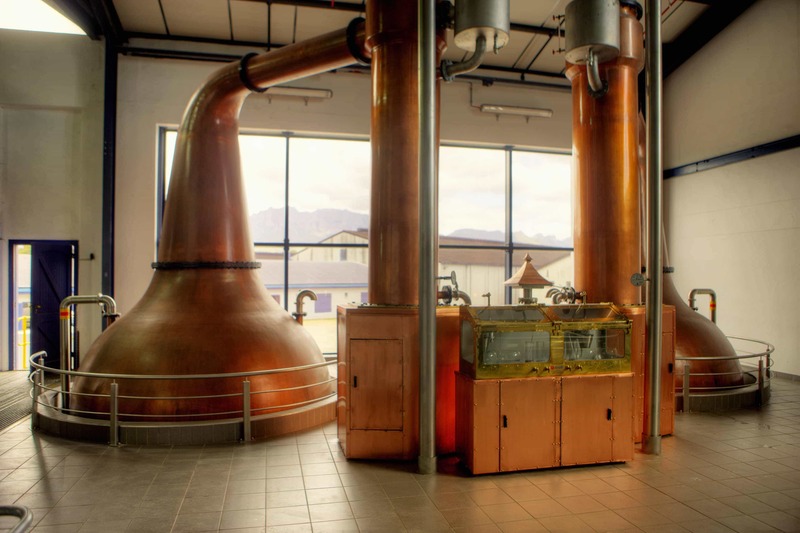 In 2009 we underwent an expansion project which included the commissioning of two new copper potstills built by Forsyth of Scotland and modeled on the Bowmore stills. These stills are my daily reminder of the time I spent on Islay where I met amazing people and some incredible whiskies. Can you explain a little bit about the style of the distillery’s malt and grain whiskies? We are one of the few distilleries in the world which produces both malt and grain spirit and we make various styles of malt spirit with one consistent style of grain. 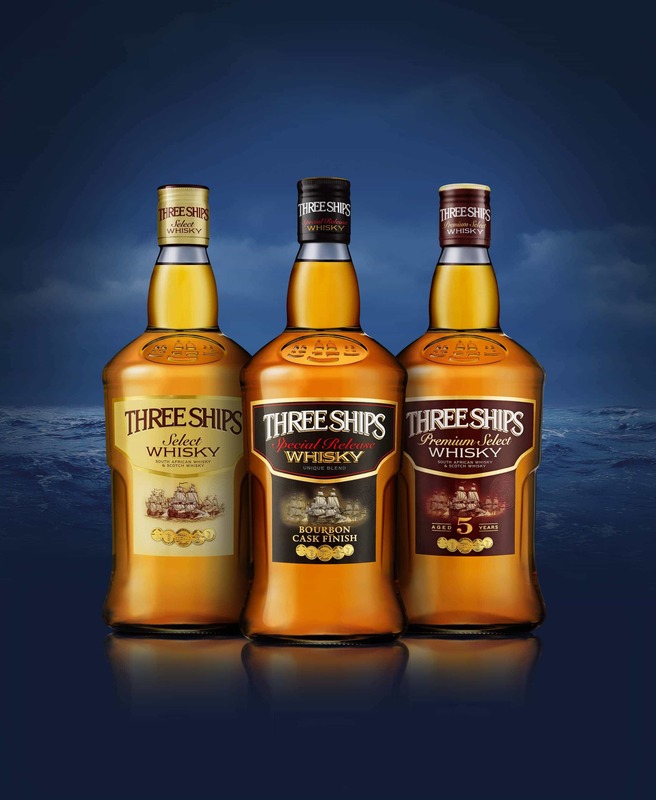 Our Three Ships series of whiskies ranges from light florally blends to peated single malts. For our blends we purchase a selection of barley with varying peat levels to produce the different styles required for the blends. Our grain is 100% South African and is column distilled and light in flavour making it perfect for the type of cask we choose to mature it in. 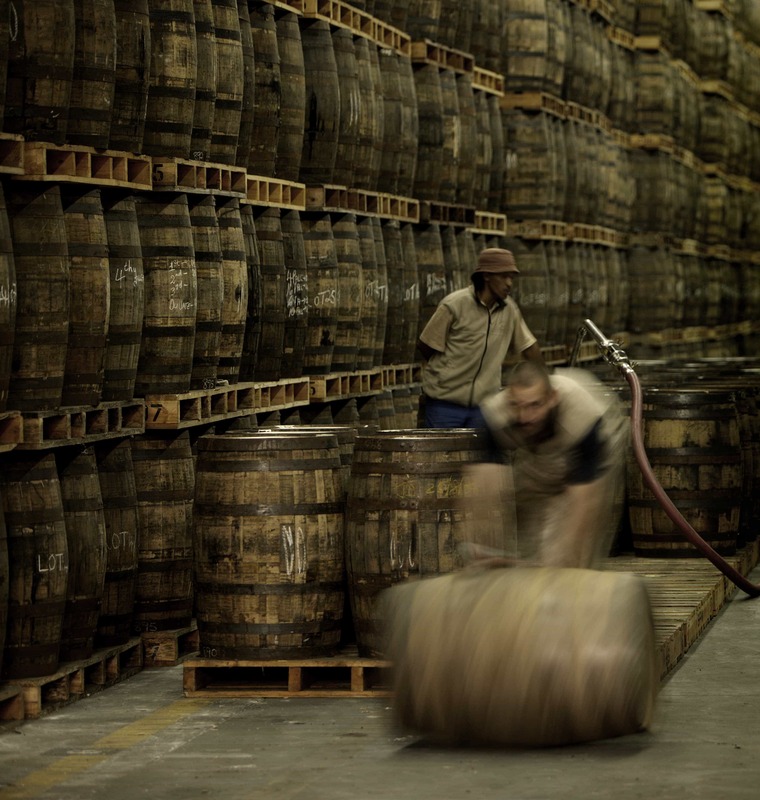 With regards to production processes and ingredients, what makes the whiskies particularly South African? I have always said that we do not have the over 500 years of tradition which the Scots and the Irish have and that we have the utmost respect for that tradition but we are not held back by it. What that means is that as a relatively young industry we can be very innovative in the way we do things. Our malt and grain spirits are not produced at the same times therefore some of the equipment like the raw material storage, milling, mashing vessels and the fermentors are shared. Although we use exclusively South African maize for our grain whisky we do import from the UK our barley through a commercial maltster. 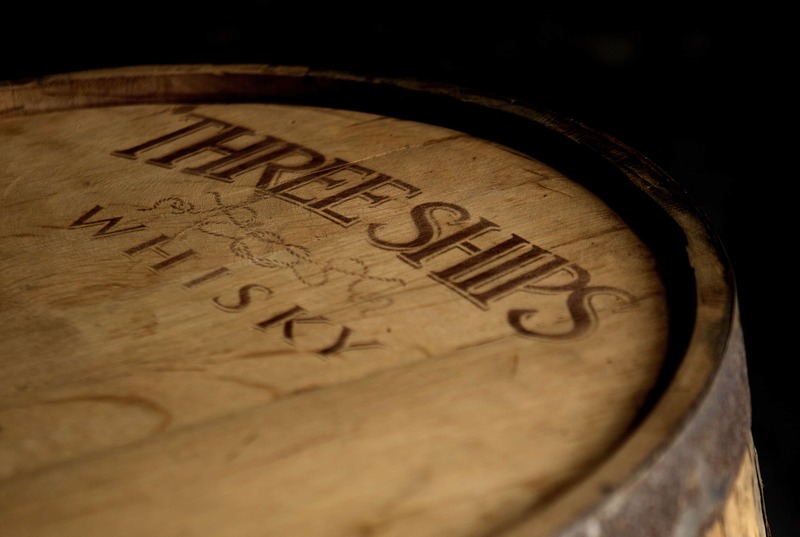 We source what we believe are the finest ingredients for our whiskies. Until the mid 1980’s the grain of choice for the Scottish grain industry was South African maize so it is not about where it is grown but about where it is distilled and matured which gives the whisky its origin. You may see a lot more stainless steel in our distillery and the fact we have been palletizing our whiskies in maturation since I arrived at the distillery is testimony to the fact that we want to be seen as leaders in what we do. Our climate here in South Africa is challenging and although we lose up to 5% per annum to the “Angels’ share” during maturation we believe this helps accelerate the maturation process enabling our whiskies to portray themselves as being much older and smoother at a younger age. With ambient temperatures above 40°C quite common in the summer months fermentations have to be temperature controlled so that the yeast can operate in its optimum environment. These are things we did not do from the off-set when we first made whisky in South Africa but I was fortunate to be taught very early in my career that you can’t distill a good spirit from a bad fermentation but you can distill a bad spirit from a good fermentation. A message I try to get across to all those who work with me so that they can respect not only the process of making whisky but also the natural challenges they may come to encounter. Scotch whisky is enormously regulated, but are there many restrictions on South African whisky? The legislation for making South African whisky is also strictly regulated and shares many similarities with the Scotch whisky legislation. •	Have final bottled alcohol strength of at least 43% alcohol by volume. •	Have a final bottled alcohol strength of at least 43% alcohol by volume. •	Consist of a mixture of at least 25% calculated on an absolute alcohol basis of malt whisky referred to in Regulation 16 and not more than 75% whisky calculated on an actual alcohol basis of whisky referred to in Regulation 15. What have been the biggest successes today – both commercially and in terms of reputation? We have only been making whisky for close to 40 years on a commercial basis and in world terms that is not a long time. However we have always believed in what we are doing and even through those early days when quality was probably questionable	we were and still are willing to learn. Being a part of an incredible company like Distell has meant that over the years investment has taken place which has allowed new equipment to be bought, wood policies to be put in place and technology used where it can benefit the process. 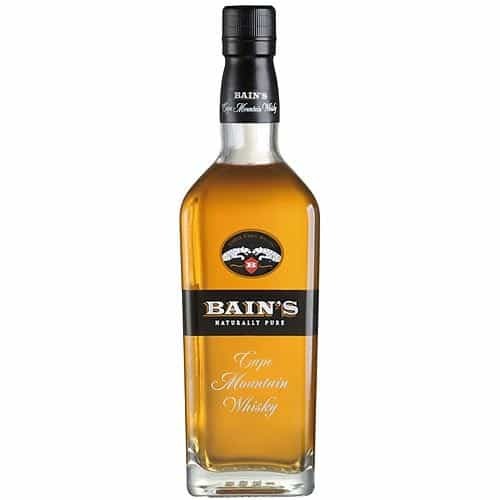 Awards such as the World’s Best Blended Whisky in 2012 and the World’s Best Grain Whisky in 2013 both achieved at the Whisky Magazine’s World Whisky Awards for our Three Ships 5 year old Premium Select and Bain’s Cape Mountain Whisky respectively have certainly created a lot of attention for the exceptional whiskies we produce. These along with other international awards from New York to China for all of our whiskies have all helped to raise awareness and profile of South African and indeed New World whiskies. 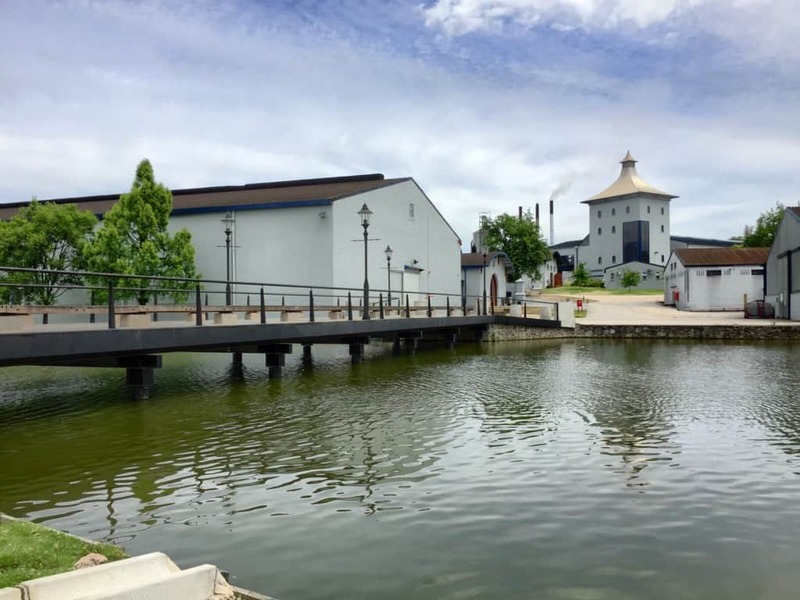 In addition the distillery too has recently received recognition by being named as the “Rest of the World” Best Whisky Distiller at the 2015 Whisky Magazine’s Global Icons Awards and named the “Best International Whisky Distillery” at the New York International Spirits Competition in November 2015. Personally being named the Whisky Magazine’s Global Icons “Rest of the World” Best Master Distiller / Master Blender in 2016 gave me great satisfaction. I believe that all of these successes along with a totally committed and dedicated team here at the JSD have led to our enhanced reputation and acceptance into the world whisky fold. Let’s talk about today’s whiskies though, as there’s some tasty stuff coming out. What are your current plans for the range of whiskies today and in the future? Will there be cask experiments? Like most of the international producers we have our core range of whiskies which will always be available. However we do enjoy innovation and have over the years tried our hands at a number of different styles and finishes. The release of South Africa’s first ever 10 year old Single Malt, Single Cask PX Finish last year was testament to that. Just 800 bottles and they sold out within 48 hours. This led to our commitment as a distillery to create “The Masters Collection” whereby each year the distillery will release something which is very special and very limited. 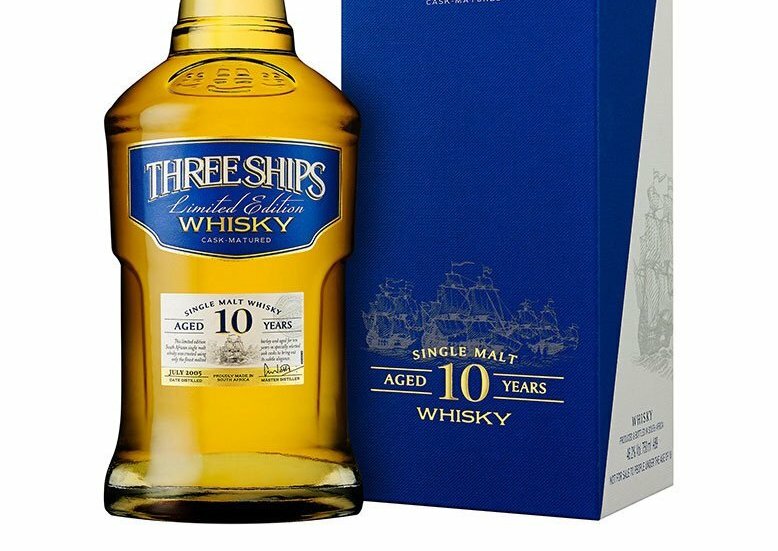 The return of the Three Ships 10 year Old Single Malt within the next few months is also an exciting project. The 10 year old malts will be released by vintage which again is another first for our South African whisky industry. Although it may not appear that too much is going on I can assure you that behind the scenes we are working tirelessly on new offerings and innovations. We hear a lot about markets in Taiwan and China, for example, being very important to the whisky industry. But not anywhere in Africa. What are people’s attitudes to whisky in South Africa and what is the local whisky scene like? Is it similar up and down Africa? You may be interested to know that according to the 2014 Scotch Whisky Industry Review South Africa was the 7th largest market by volume and the 6th by value for Scotch whisky exports in the world. If you add to that the amount of American, Irish and South African Whisky which is consumed then we are a substantial market. Whisky is now the top-selling spirits category by volume and value in South Africa. The South African Whisky scene is very lively and we now have Whisky Live across four cities with the highlight always being Sandton in Johannesburg in November of each year. Whisky is consumed across all age groups, gender and race making it truly representative in our diverse demographic. The rest of Africa also enjoys whisky but with different legislations in different countries it is not always whisky as we know it. Finally, what do you hope your legacy will be? Making whisky is definitely not a job and I firmly believe that if you find a work which you love then you will never work a day in your life. It’s in your every breath and thought and it has certainly been for me the past 30 years. I hope that the vision I had together with a number of other important role players in establishing South Africa as a serious not as a curious whisky producing country will be continued. It would be a fine moment for me one day to taste a whisky made by my successor that is truly a reflection of all the hard work and dedication we have so tirelessly worked towards over the years. Although I am in the twilight of my career I honestly believe our whiskies are only in the dawn of theirs.